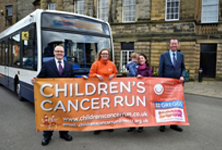 Three employees from Stagecoach North East are donating their time to provide a shuttle service for a regional children’s charity race in Newcastle for the second year. 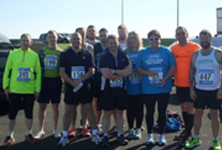 17 employees from two Stagecoach North East bus depots teamed up to take part in a popular coastal 10k race and have raised over £500 for Caring for Kian. Visitors to Newcastle and Gateshead and those living in the city can now enjoy the sights and sounds of the vibrant north east as the City Sightseeing tour programme launches for 2016.